DL1961 Premium Denim, best known for their technologically advanced fibers that patented XFIT LYCRA, has announced a revolutionary retail initiative exclusively at Nordstrom, and the retailers Michigan Avenue store in Chicago. 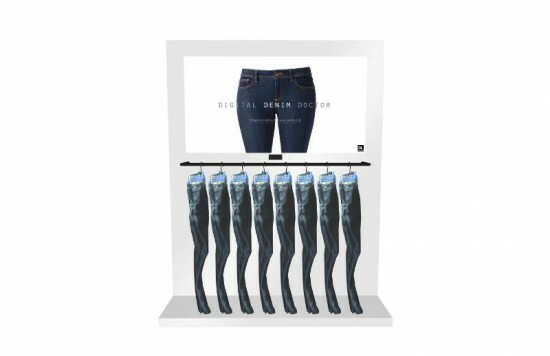 Based on an algorithm that filters through the brand’s collections, DL1961 created a user-friendly interface specifically for the customer to input their body type, fabric preferences and lifestyle needs and subsequently receive a “prescription” with a personalized selection of perfectly fitted denim. Shoppers will have the ability to virtually experience the product from a 360-degree perspective or in a traditional fitting room. Customers can also view a ‘blueprint” of the denim, which provides in-depth information on the benefits of each style.